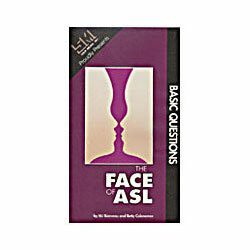 This series instruct students how to develop nonmanual signals and markers in ASL. Descriptions and demonstrations of facial behavior in context and practice exercises are included on each tape. Video 4 demonstrates special combinations and sequences of nonmanually marked clauses.